Mind-boggling though those details are, it was still sort of interesting to read. Yeah…no. The stress these people put on themselves doesn’t sound enjoyable. I’m glad my bread-baking remains at a relaxed level. I’d stop doing it if it seemed that much like work. 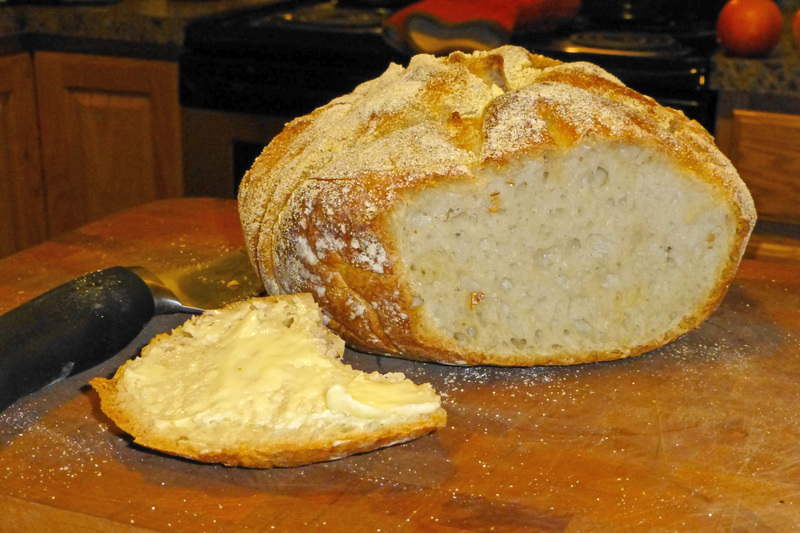 This entry was posted in Baking and tagged bread, Modernist Bread. Dammit Lalo! And here I am not having had one single thing to eat worth a damn today and you post a photo of that beautiful loaf. Right at the start, being stupid enough to pay 600 bucks for Modernist Bread would instantly put my stress meter at 11. Indeed! I now am interested in looking into this pricey tome, if not for anything more than what the justification of it is. For that price, the loaves should come out of the oven, gold plated.